For Mother’s Day this year, I wanted to treat my wife to something extra special. 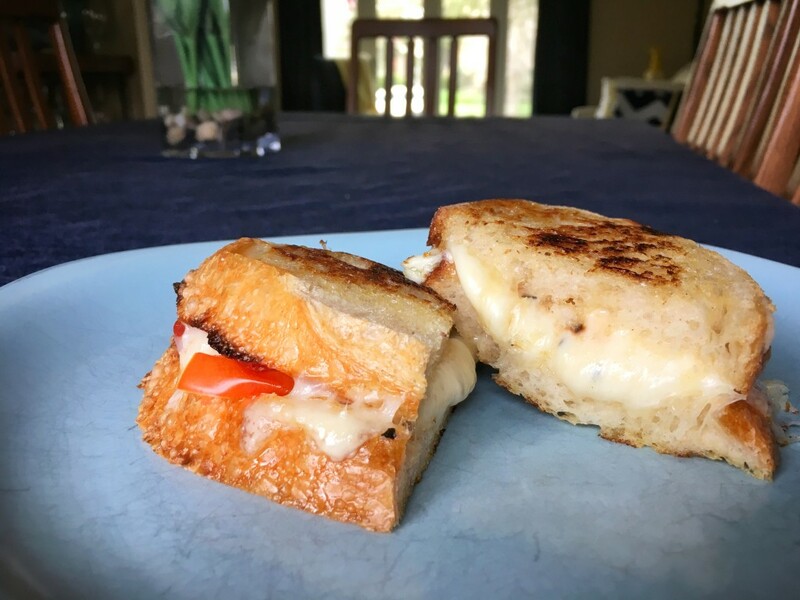 One of her favorites is the Grilled Three-Cheese Sandwich from Café Muse in Royal Oak, Michigan. Their sandwich first received national attention being featured in a 2008 Esquire Magazine article about the “best sandwiches in America”, was later featured on Oprah in a “sandwich showdown”, and has been named as the “best grilled cheese sandwich in Metro Detroit” (Detroit Free Press) and “one of the perfect grilled cheese sandwiches in America” (Reader’s Digest). Unfortunately, trying to get a reservation at the renowned Café Muse on Mother’s Day is near impossible, so instead, I decided to make it at home for us to enjoy. The end result was absolutely delicious, and is most definitely a recipe I’ll be making many more times to come. If you’re a fan of grilled cheese, do yourself a favor and make this recipe soon. You’ll be glad you did!